The Maria wall cabinet is a great way to add a little storage space to your bathroom oasis. This ergonomic and elegant wall cabinet is designed to be placed over the toilet or used as extra wall storage just where you need it most. Soft-close doors ensure peace and quiet in your bathroom oasis, and brushed nickel hardware accents complete the look and compliment any modern bathroom setting. The elegant style Naples 26-1/2 inch wall cabinet features an Antique Walnut finish and antique black, birdcage-style hardware. The 2 adjustable shelves and full-extension drawer provide versatile storage options for your powder room items. 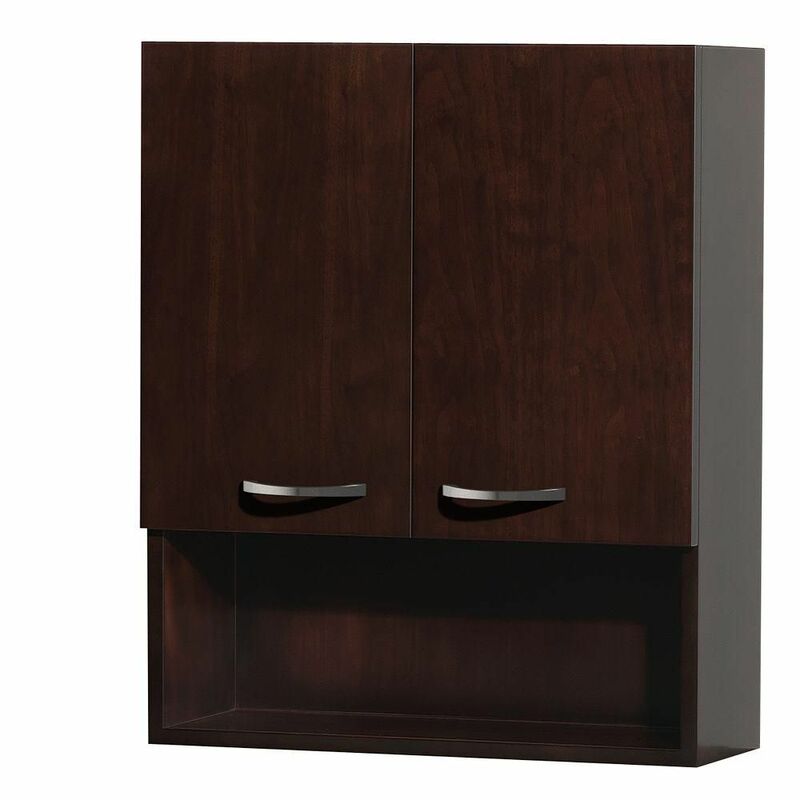 The cabinet is 26-1/2 inch wide, 8 inch deep, 32-3/4 inch high and comes fully-assembled. Maria 24 In. W Wall Cabinet in Espresso The Maria wall cabinet is a great way to add a little storage space to your bathroom oasis. This ergonomic and elegant wall cabinet is designed to be placed over the toilet or used as extra wall storage just where you need it most. Soft-close doors ensure peace and quiet in your bathroom oasis, and brushed nickel hardware accents complete the look and compliment any modern bathroom setting.